This was a good one. My new favorite from FB really tho. The grow was great both finished perfectly with the flush the smoke is so smooth. The smell in bloom was a citrus mangos with hints of blueberries. The end product is an earthy citrus with berry undertones. The high is the best part perfect day time smoke gets you energized, uplifted and ready togo. Tastes kinda like blueberries with an earthy aftertaste. I was surprised at the amount of frost they produced was covered in sticky oily goo. The smaller one finished early around day 65-70 from germination and the big one around day 75-80. Did a 12-14 day dry in a pitch black 4x4 tent with a low power exhaust fan and a humidifier with R/O water at 58% - 61%. Just started cure on big one on 3.25.18. The big one was topped yielded 275g the small one was defoliated yielded 105g dry. All the buds from top to bottom are hard as rocks and would be good for extractions. Very sativa with a myrcene dominant terpene profile. 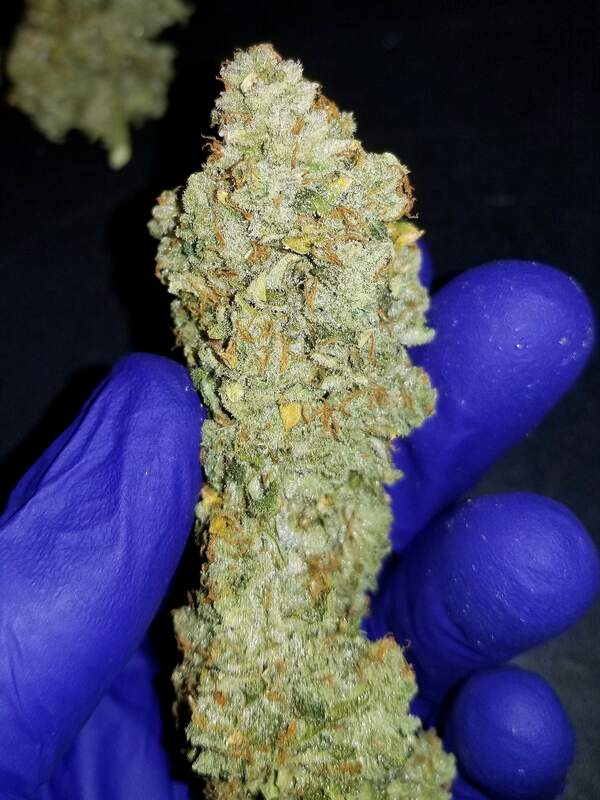 Overall this was a 10 for me from the grow to the quality to the yield.